It is the holidays and that means all kind of fun, yummy treats. Most of which I chose to refrain from. This dessert or breakfast treat is all the yummy, and it is healthy! It is a perfect dessert or would be great on the table at Christmas brunch. Testing this recipe on Sunday afternoons really made me feel all the feels. It is such a comfort food to me, with the fire on, and football playing in the background (the very far background). These are the kinds of things I thought I would have to give up if I changed my diet. I really haven't had to though. The experiences are still there and the food is still very yummy. You will need four 7 ounce round ramekins to make this recipe. Peel the apples. Then core and thinly slice them. 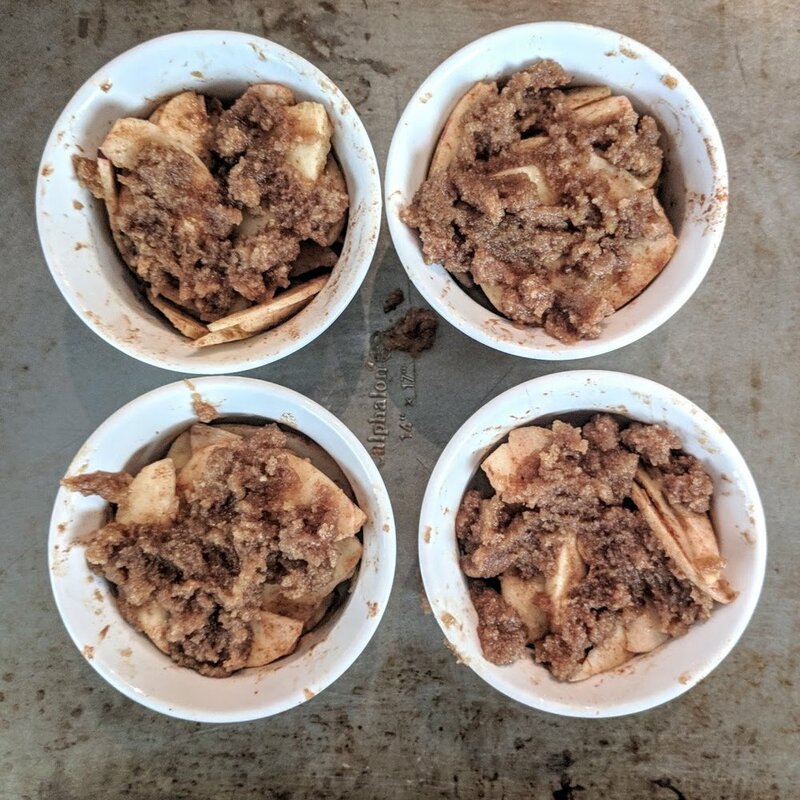 Combine all the ingredients from the apple layer, and divide among the four ramekin dishes. Combine all ingredients for the topping. Divide evenly on top of the apple mixture. Place the four ramekins on a baking sheet. Bake for 20 minutes. Serve.